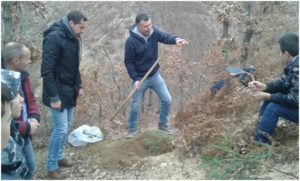 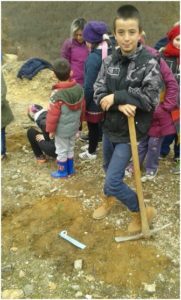 In 15 December 2016, Xanthi Forest Directorate participated in a one day environmental action that was organized in collaboration with the elementary school of Thermes, in the mountain area of Xanthi Region. 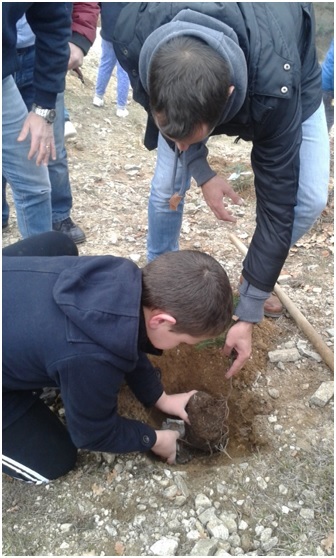 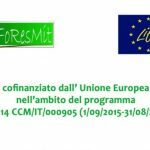 During the event, two members of our work group (Pantelis Theodoridis – Forester – and Maria Triadafillidou – Forester) informed the students and teachers about the services and the benefits of the forests, in particular disseminating Life FoResMit project, its activities and its objectives. 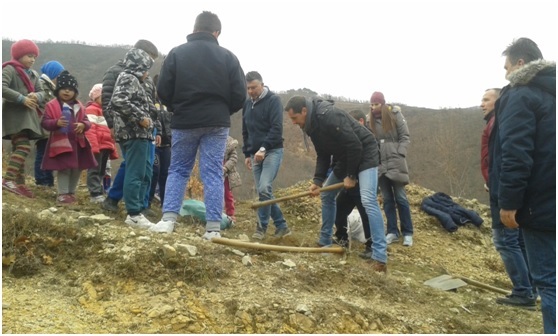 That action is particularly important, because is directed to children and their families that are residents of this mountainous region rich in forests. 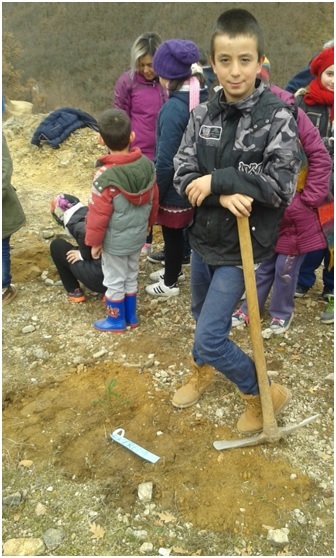 At the end of day, students has been involved in planting fir trees (Abies borisii-regis) bearing their names directly in the forest near the school. 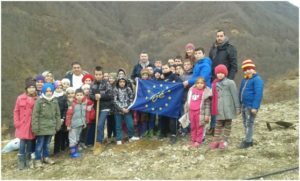 In addition, promotional materials (brochures, notebooks, pencils) have been shared out to the present.